In today’s world of mass production and consumption of skin care products, ingredients like isobutylparaben seem to straddle a line between helping us and hurting us at the same time. This ingredient, along with other parabens, is often included in skin products like after shave, skin creams, concealer, lip balm, undereye creams, and much more. But though it has been so widely adopted in the personal care industry, some evidence seems to suggest that parabens like isobutylparaben can be dangerous to our health. In fact, some studies point to parabens being present in breast cancer tissues, leading some skin experts to suggest eliminating all such chemicals from daily use. Therefore, isobutylparaben warrants a closer look and further studies about its potential dangers and benefits. 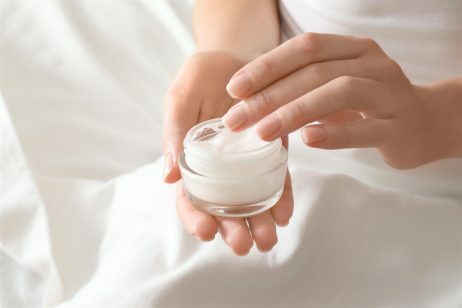 Skin care manufacturers add isobutylparaben (and other parabens) to their products in order to prolong the shelf life of the creams and lotions. Parabens are not believed to have any beneficial effects on the skin, but are included in formulas because they inhibit the growth of mold and bacteria. In many ways, the inclusion of such preservatives is indispensable in our day and age. We often take for granted how cheaply some skin care products can be purchased, and the fact that we don’t have to waste money throwing away too many expired products in the trash. In many ways, this is achieved through the selective use of parabens and other preservatives. Further, by limiting the growth of bacteria and fungi, preservatives like isobutylparaben help keep us safe from infection and other diseases. It’s true that skin already acts as a barrier, but if contaminated creams are applied to the skin, an inflammatory response can be elicited, and lead to skin damage in the long term. In addition, bacteria can easily invade our bodies if contaminated product is applied to broken skin, or if small amounts of contaminated lipstick or lip balm are accidentally ingested through the mouth. Therefore, it is easy to see how ingredients like isobutylparaben can be very helpful to protecting our health and well being. There have been a number of studies conducted on preservatives and their effect on the human body. Typically, isobutylparaben is grouped together with other parabens, due their similar chemical structure. The main issue with isobutylparaben seems to be its ability to mimic estrogen. This can be a big problem if parabens enter the body in large amounts (or accumulate) because it can throw off the endocrine system, which is responsible for secretion of hormones that regulate many processes in our bodies. In fact, other studies unrelated to parabens have shown that overall high levels of estrogen can lead to the development of cancer in men and women alike. When it comes to isobutylparaben, the evidence of its link to breast cancer is not fully conclusive. Some limited studies have suggested that excised breast cancer tissue has shown a presence of parabens, thus establishing a correlation. However, the scientific community and regulatory agencies have declined to state with full certainty that parabens cause cancer. Though it is important to note that isobutylparaben and other parabens are banned from skin care products in the EU. Lastly, some skin care experts and regulatory agencies suggest that it’s not the presence of isobutylparaben that will cause cancer, but the amount of this chemical that is present in a typical cream, and how often it is used. And because most products have relatively low concentrations of this chemical, they are therefore believed to be quite safe. However, data does not yet address if genetic predisposition or other health aspects make an individual more susceptible to the negative effects of this chemical. Overall, the use of parabens like isobutylparaben is a sort of balancing act; on the one hand it may be needed to keep consumers safe, but on the other it can potentially cause life-threatening illness. Further, it doesn’t help that U.S. regulatory agencies take a notoriously “hands off” approach when it comes to banning ingredients. Whereas the European Union is more likely to ban a chemical at the slightest hint of trouble, U.S. authorities tend to require more definitive proof of health danger. 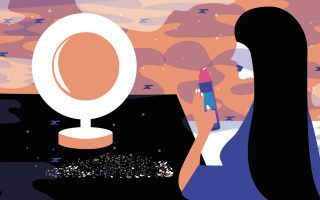 That doesn’t necessarily mean that one approach is better than the other, but rather suggests that the U.S. consumer must be more active in deciding whether they want to use products that contain chemicals like isobutylparaben, and take more control over their skin routines. For consumers who are considering alternative preservatives, vitamin E is a very common substitute to isobutylparaben. This ingredient is good for the skin because of its antioxidant properties and the ability to repair skin damage. In addition, it slows the onset of rancidity. However, keep in mind that unlike isobutylparaben, vitamin E is not believed to prevent the growth of bacteria or fungi. Additionally, consumers who choose to opt for natural products without isobutylparaben (or other preservatives), may consider keeping the products in the refrigerator, to extend shelf life.